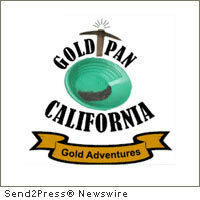 SACRAMENTO, Calif., June 9, 2011 (SEND2PRESS NEWSWIRE) — Gold Pan California, a gold mining supply shop located in the Bay Area, is bustling with suction dredge gold miners who are anxiously seeking a last-minute deletion of a math mistake in the current State Budget battle. “This is a new financial disaster headed straight to the heart of the Golden State,” says owner Mike Dunn. What the gold miners and Dunn are in upheaval about is a proposed budget “cut” of a non-existent $1.8 million deficit in the suction dredging gold mining program. Dunn says that a consultant preparing this year’s budget for the Department of Fish and Game used a 3-year old estimate of costs to arrive at a deficit in the suction mining program. The real cost was later formally determined, and provided by Attorney General Jerry Brown’s office. If the California Legislature passes the trailer budget bill language, the consequences would be sweeping: 4,000 miners will be put out of work permanently, 15,000 inter-related jobs will be affected, and the entire suction dredge gold mining industry will be killed. The suction dredge gold mining industry generates $23 million in California, and supports more than 14 sectors, including restaurants, hardware stores, gas stations and camping outfitters. “These are real mom and pop businesses that rely on miners every season,” says Dunn. There will never be a time when it doesn’t make sense for a man to prospect for gold, and if Mike Dunn is successful in his efforts to stop this bad budget proposal, 4,000 miners will be back at work in November, contributing millions of dollars in gold and paper back to the economy. Hopefully, former Attorney General Jerry Brown’s legal finding will get to Legislators in time to avert a disastrous end to the industry that put California on the map. Original Keywords: california budget, legislature, jerry brown, water, gold mining industry, suction dredge gold mining, suction dredge mining, suction gold Gold Pan California Sacramento California SACRAMENTO, Calif.
REFERENCES: Ballots Bills and Laws News, california budget, legislature, jerry brown, water, gold mining industry, suction dredge gold mining, suction dredge mining, suction gold Gold Pan California Sacramento California SACRAMENTO, Calif.